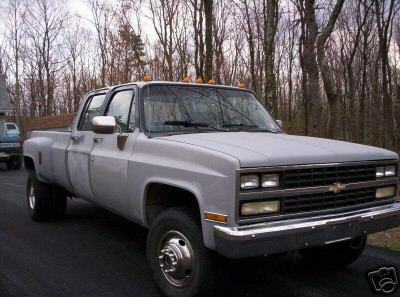 1990 Chevy 3500 "Big Dooley"
dooley? i see like 5 different ways to spell that, what is the right way? dualie...? Depends on what part of the Country your in. Dualie. Put a bully dog module in it so I can tow an apartment building. #2, It's supposed to be "dually", but Chevrolet - for reasons unknown - called theirs "Big Dooley" for awhile. "Dooley", of course is an Irish surname, and maybe since Irish people drink and fight a lot they thought that would make it sound tough or something.